One Poll is a UK based market research organisation. It is part of the SWNS, South West News Service, which in turn is the UK’s largest independent Press Agency. The specialise in PR and gathering information for big brands, their website show reputable brands such as Nationwide, TSB, ITV and Sky to name a few that use their services to gather market research. So, they are very reputable and legitimate, but are they worth you spending your time in to complete some surveys? Will it pay well for that service? Let’s start with what type of person is this for. Earning money completing surveys is really for someone who has some spare time and wants to earn a little extra money. From that end, the only real way of making some decent pocket money is if you sign up to multiple sites, which means you need to spend some time daily to make it anyway near worth it. When the average pay-out for a survey on One Poll is 10p, you would need to do ten to earn a £1. Their surveys are based on celebrities, shopping, parenting, movies, music and travel which would be an interest for most. To start with One Poll you need to complete a free registration form on their website. that’s it, you done. There doesn’t seem to be any restriction from where you live to registering with them. You are then presented with your dashboard, where there are a number of surveys ready for you. These are your pre-screening questions. The better they know you, the better they can suggest surveys for you. This is a normal procedure with most survey sites, you will also earn rewards for completing these. The reward for completing the surveys is displayed and it says it ranges from 10p to a £1. Although my experience has showed the average is either 10p or 20p. But they also have Competition surveys and rewards for referring a friend. You can also earn 50p for connecting to their facebook page and 50p when you reach 10 surveys completed, although these do not include the pre-screening ones. These are short surveys where you will not earn any money, but you will be entered into a sweepstake, which if you win will be a reward of £100-£1000. On one side it looks quite good for a survey site, but then I found a few bits that frustrated me. Showing me a whole page of surveys looks great when you log in, but when you click them and they show that you are not the right fit for a survey is a bit naughty after the number of pre-screening questions you have to answer. I wouldn’t mind if the odd one showed it, but I had quite a few at the beginning. The second frustrating bit is the withdrawal threshold – you need to earn £40 before you can withdrawal your earnings. That seems a lot. I completed 23 surveys and my total came to £6.30. So, if the average earning is 10p. 10 surveys earns you a £1. 10×40=400 surveys. You would probably need to do 400 surveys to get anywhere near the threshold. 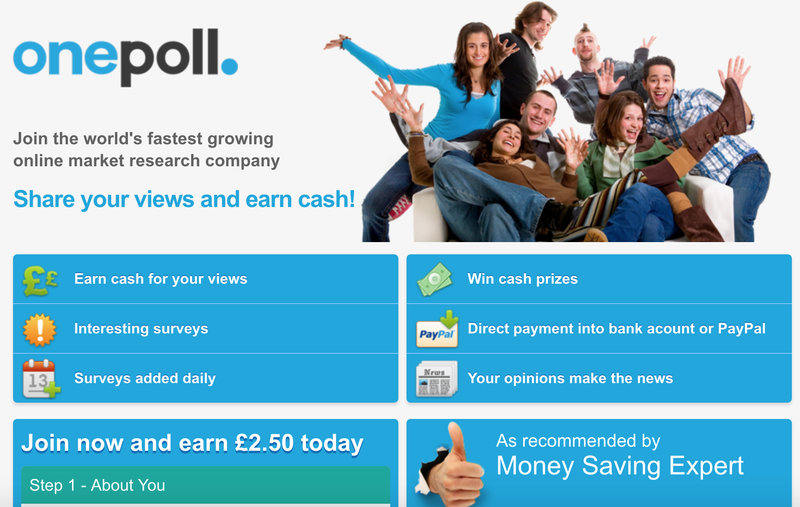 Wow, I also reviewed Prolific Surveys (Check it out here), their threshold is £5 and about 6 surveys would get me there. I am not beating down on them, plenty of survey sites have high thresholds, but these seems exceptionally steep. There are also complaints that surveys tend to dry up when you get close to that threshold. Once you reach, the threshold you can accept the money via bank transfer or PayPal and it can take 28 days to arrive. Website and Surveys are easy to use and complete. Their iPhone app is really easy to use and has push notifications for new surveys. The £40 threshold is really high, considering the average pay-out of a survey is 10 pence. There is quite a bit of inconsistency between the reward and the time spent. It is free to join One Poll, and you will even earn £2.50 just for registering. The average pay-out for each survey, in my experience is 10p or 20p. Unless you get a competition survey for a chance to win between £100 to £1000. After completing registration and 23 surveys including the pre-screening ones, my balance was £6.30 and on average I only get about 2 surveys a day. In my experience, the people that earn decent money out of survey sites is down to the fact they sign-up for as many as they can. The downside is you would need to dedicate some time every day to check each account for surveys and it would only ever be a job on the side. Having said that, surveys sites are an easy way to earn a little money. One Poll is legitimate and well recognised in the industry and you know your information will be safe. Their website is easy to use without any real IT knowledge you will find their surveys are easy to complete and straight-forward. If you have a number of friends who can sign up for you, you would be very likely to earn the threshold quite easily if you work together. 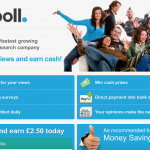 Have you any experience with OnePoll, if you have I would love to hear your thoughts in the comments below. Also, please share this article with your friends. If you have any questions about One Poll, then please leave them in the comments below and will get answer you as soon as I can.